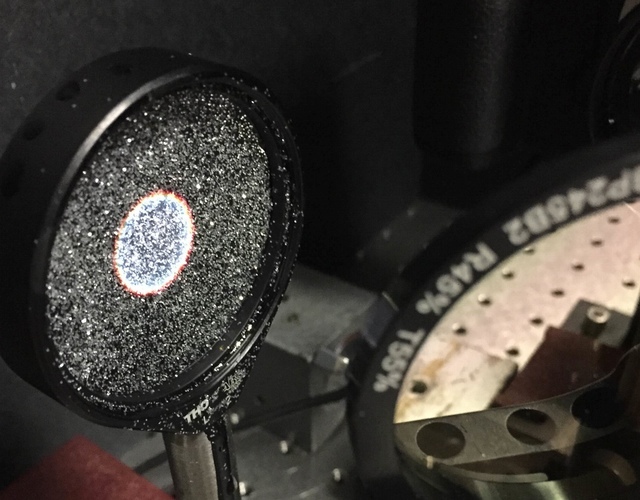 In the future, mirror-based space telescopes might be replaced by “glitter clouds” of particles sculpted by laser light, according to NASA’s Jet Propulsi​on Laboratory (JPL). This mind-boggling proposal is called Orbiting Rainbows, and it provides a creative and visually spectacular solution to the problem of transporting telescopes to space. "It's a floating cloud that acts as a mirror," said Marco Quadrelli, the Orbiting Rainbows principal investigator, in a JPL statem​ent published today. "There is no backing structure, no steel around it, no hinges; just a cloud." As futuristic as laser-shaped telescopic glitter clouds (!!!) sound, the concept has actually been bandied about for decades. In 1979, French astronomer Antoine Labeyrie published ​a paper speculating about how the mechanics of such an array might work, suggesting that pressure from laser photons would be enough to manipulate clouds of reflective grains into macro structures, capable of capturing and recording light from distant stars, galaxies, and even exoplanets. Recent experiment with a mirror surface made of glitter. Credit:G. Swartzlander/Rochester Institute of T​echnology. This approach has the potential to drastically reduce the cost of space telescopes, because it’s easier to build many small mirrors than it is to construct one big one. It’s also a lot more convenient to pack, launch, and deploy a swarm of devices than it is to blast an enormous structure—the James Webb Space Telescope, for example—off Earth. The Orbiting Rainbows concept has rapidly developed since 1979, and it’s currently in Phase II develo​pment under NASA’s Innovative Advanced Concepts (NIAC) Program. In other words, it has been greenlit by NIAC for experimentation, and so far, the results are promising. For example, a recent experiment led by Orbiting Rainbows co-investigator Grover Swartzlander revealed that the “speckle effect”—the chaotic light distortion inherent to a swarm-style telescope—could be mitigated by using multiple exposures. Results of Swartzlander’s Orbiting Rainbows tests. Credit: NASA/JPL/YouTube. "This is a major achievement," Quadrelli said, regarding Swartzlander’s study. "This demonstrates a highly controlled experiment in which we were able to do imaging in the visible light spectrum." Orbiting Rainbows is still in the early days of development, and has several more empirical hoops to jump before it’s cleared for takeoff. But the mere idea of this wildly creative approach to studying the universe is enough to buoy on space dreamers for the moment. After all, to reiterate, this thing is a rainbow cloud of space glitter, hewn by laser beams, that can image distant alien worlds. NASA, you have truly outdone yourself with this brain gem. ​Lead image: Laser light reflected off of a glitter mirror onto a camera sensor. Credit: G. Swartzlander/Rochester Institute of Technology.